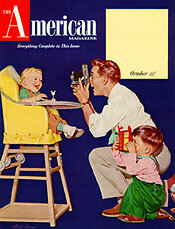 Steve's early career behind the camera began in an illustration for American Magazine by his father Paul C. Burns. In that illustration Steve, as a young child, was photographing his younger brother. His camera was a toy trolley car with a spool of thread attached to it as a lens. 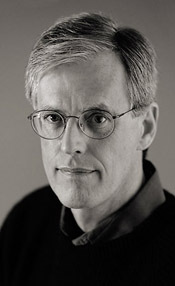 Currently Steve is an award winning location photographer with more than 30 years of experience behind the camera. "I am truly honored when asked to witness a marriage. One of my deepest passions is the documentation of this celebration of life and love uniquely and honestly. I was drawn to photography by a desire to communicate visually, with a keen interest in people as well as the environments of the world. I enjoy recording the interaction of people and their emotions, the subtle nuances of the wedding day in an unobtrusive manner for the couple. Many clients have defined my personality as warm and friendly, my work as strong and graphic; expressing admiration as to my versatility." Though living in the New York metropolitan area, I am available for assignments anywhere client needs may require. Real comments, from real clients, from real weddings. I don't make this stuff up. Heather & Brian I just wanted to thank you for the INCREDIBLE wedding photos! Every single one of them online is amazing! You make me look like a movie star! We couldn't have asked for anything better! Thank you so much for making our photos (and memories) so beautiful! Amanda & Mike Steve, thanks so much! You did a great job! We were very happy with the day and we are off to Aruba tomorrow... Thanks again for the amazing job with the pictures. PS I really appreciate the time you took to photograph my "babies" - the cats! Kristie & Bob Steve, I wanted to thank you... I never dreamed things would be so great! My entire family loved the work you did and the pictures came out fantastic!! Thank you for helping make Our day so special and recording our memories so wonderfully. Steve… I just wanted to tell you how much we appreciated you and how honored we were to have you photograph our wedding. Everyone at the wedding loved you especially my grandfather…You made such and impression on everyone and they all felt so comfortable around you. Thank you again for all your hard work and we are looking forward to seeing all the fabulous photos that you took...God Bless! I just wanted to tell you it was a pleasure having you photograph our wedding. I already have the proof's and we love them! Hi Steve...Thanks so much for your professionalism. great personality and not intrusive manner at our wedding. I truly appreciate it and will recommend you to anyone looking for a great photog., and that's without seeing one pix...pretty good! Thanks so much for being a part of our special day and capturing every moment! We just wanted to thank you again for the amazing wedding photos you.. took at our wedding on May 28th. Everything was perfect – you managed to capture the essence of our love and happiness beautifully, and your photos help us to relive our special day whenever we want! You…played a huge role in helping to make our… dream come true – Thanks! Jennifer & Vincent We just wanted to thank you so very much for helping to make our wedding day so wonderful. We got the picture discs and are so very thrilled. Not only is your product great, but the guests and our families loved your manner and personality. Thanks for helping to create a lasting memory of that special day. Fondly..
We are thrilled with our photos and were delighted with your services... We are EXTREMELY pleased with our photographs and cannot thank you enough... you did a phenomenal job! Your service was extraordinary and that is an understatement!... I don't know what other word to describe how I feel about them...Steve... was phenomenal! And his photographs are exactly what we wanted. I cannot give him enough praise. Thank you so much for your talent. The day was perfect and so were the pictures! I truly appreciate every minute of your hard work. Pamela.. The average investment is approximately $4,250.00 for up to a ten hour coverage with a significant album, a DVD of files, a selection of several prints, an on line secure e-commerce gallery for 60 days. Please either call or contact me with the specifics of your day and needs and I will prepare a custom price quote for you. A complete and printable PDF of my normal packages and a la carte pricing schedule is available at this PDF Fees link. 2013 Spring Wedding Booking Special. Book between now and June 01, 2013 a wedding photography package for any Sunday date in 2013, and you will recieve a 40% discount on the Base Coverage. Book a Six Hour Coverage. Book an Eight Hour Coverage. Book a Ten Hour Coverage. The above discounts are a savings on the Base Coverage portion of my pacakges. The Base Coverage is the foundation upon which all of my packages are built. It is included in all of my packages. A complete and printable PDF of my normal packages and a la carte pricing schedule is available at this PDF Fees link.